At any time of the year, the New Mexico wilderness is one heck of a place to explore and enjoy. 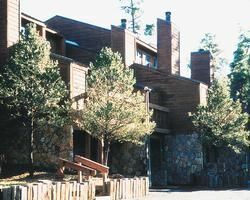 Located on the outskirts of the town of Ruidoso and overlooking the spectacular Sierra Blanca Mountains, the DCR Resorts lodging is a perfect vacation destination for families, couples, and small groups. With luxurious two-story, condo-style timeshare suites surrounded by tall pines, the resort is truly a place to relax and drink in the great outdoors. DCR Resorts is close to hiking trails and Ski Apache. You'll get to know the permanent residents in the area, namely squirrels, rabbits, deer, and raccoons. Your large yet comfortable guest suite is fully furnished and sits above a large garage complete with laundry facilities. 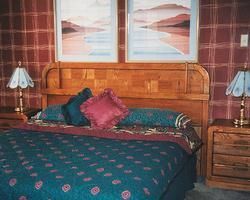 You can enjoy all this by renting or purchasing one of these Ruidoso timeshares for sale, and you'll have part-ownership in this wonderful vacation resort. All timeshare suites at the resort are one- or two-bedroom in configuration, and all have a master bedroom with a king bed. The units have a fireplace, full kitchen, and furnished living room. The bath area in each unit has a Jacuzzi. Kitchen appliances include a microwave, coffee maker, and utensils. All of the units are carpeted, and all have both front and garage entry. You can drive directly to your condo unit without the need to arrange for ground transportation. The town itself is quite picturesque, especially in winter. It's not far to the Ski Apache ski area, and it's also just a short drive to the Inn of the Mountain Gods Casino, where you can try your luck at the slots and table games. The list of hiking trails and cross-country ski trails is virtually endless. If you stay at the DCR Resorts in summer, nature hikes, outdoor photography, and nearby fishing are going to be in your future. This is also the perfect place for a honeymoon or a quick weekend retreat with the family or your partner. Getting to the resort is easy. It's just a 45 minute drive from Alamogordo White Sands Regional Airport and less than an hour from Roswell. Save money and time by renting or buying one of these Ruidoso timeshares for sale. It's a better deal than a traditional hotel stay, and you have greater flexibility in terms of reservation dates. Start planning your New Mexico vacation adventure today! Contact DCR Resorts Specialist Today!